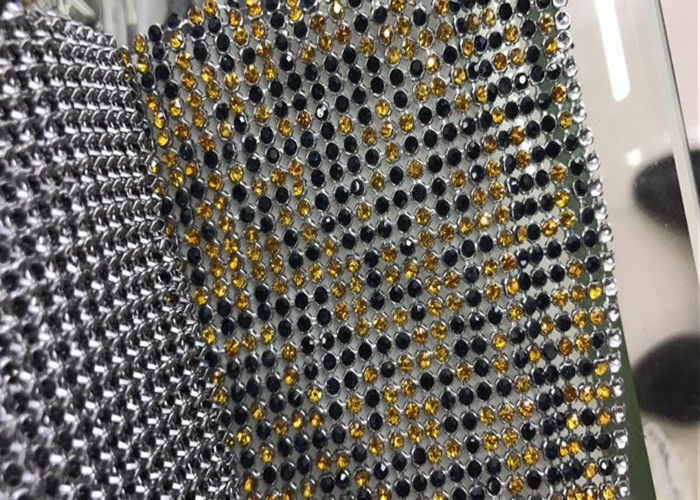 The metal mesh fabric is available in many shapes, including square-shaped, hole-shaped, bead-shaped, wintersweet-shaped, pyramid-shaped, etc. 2. Flake Size of Metal Flake Fabric , Metallic Sequin Table Cloth : 3mm , 4mm , 6mm , 8mm , etc. 3. 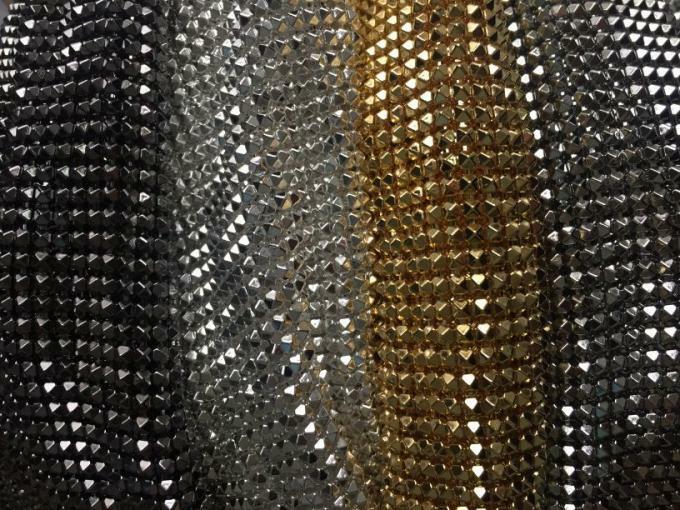 Size of Metal Flake Fabric , Metallic Sequin Table Cloth : 0.45m x 1.5m , also can be made according to your request . 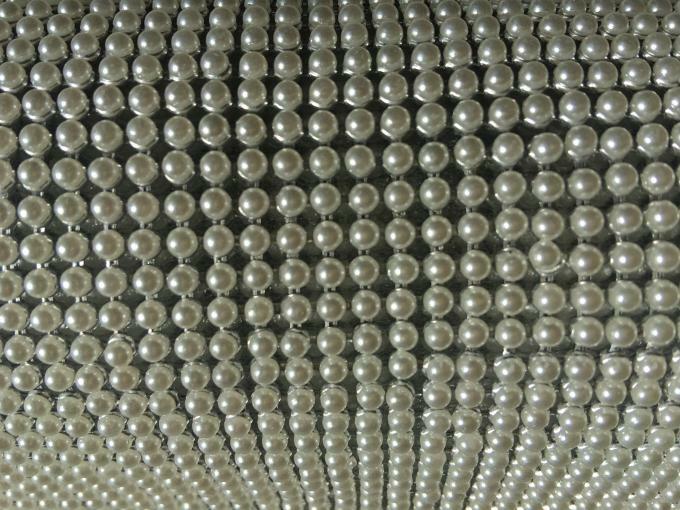 Mesh Fabric can be used in hotels and other screen divisions. Metallic pieces can be changed at will just like cloth, is the latest fashionable elements.